Practical information on Phu Quoc centers mainly around getting to, from and around the island - this is usually the toughest bit for travellers, especially foreigners. 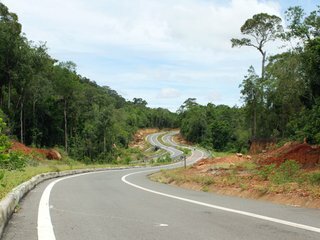 Although recent development has saw the opening of a number of high-end resorts, restaurants and other traveller-focused facilities, the island is still largely underdeveloped and lacking infrastructure, and thus may not be very convenient for those who don’t know any Vietnamese and don’t drive a motorbike. Explorers and lovers of the uninhabited will find many beautiful spots on Phu Quoc, with enough stores, pit stops and eateries in between sights to keep the journey going.